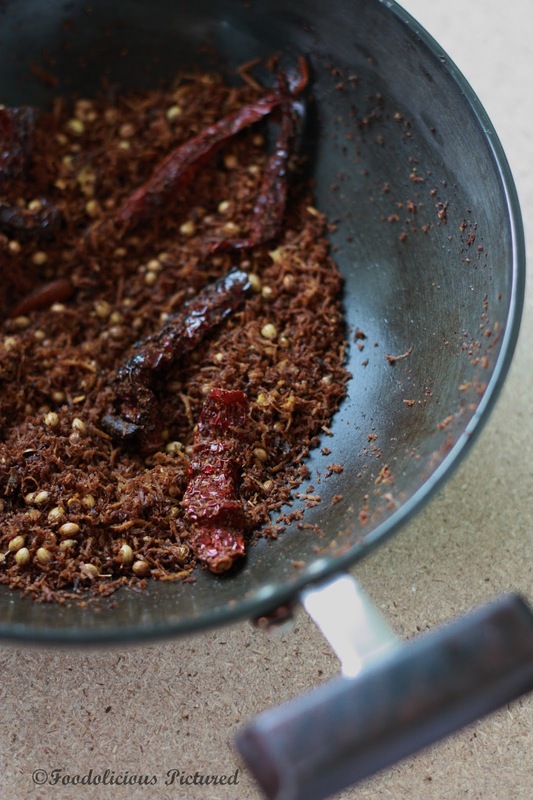 In skillet/kadai , dry roast all ingredients under “For dry roast” till dark brown but do not burn. 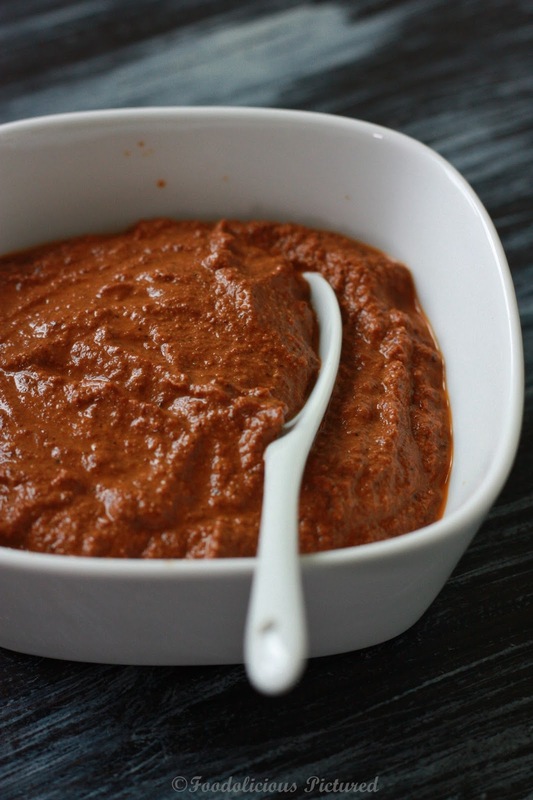 Allow to cool and in a blender, make a fine paste with just adding very little water. Set aside. In pressure cooker pan, heat 2 tablespoons of coconut oil, add the mustard seeds and curry leaves. Add the sliced shallots, ginger, garlic and saute till the shallots are golden and the raw smell of the ginger-garlic is gone. Add the ground paste and saute for a few seconds. Add the chopped tomatoes and cool till mushy . Add the vinegar and mix well. Tip the beef in and mix till everything is well combined. Add 1/4-1/2 cup water and pressure cook till the beef is done. Turn off the heat and allow the steam to release on its own. Uncover and turn on the heat and continue to cook till the gravy is thick or add water to adjust the consistency of your choice. 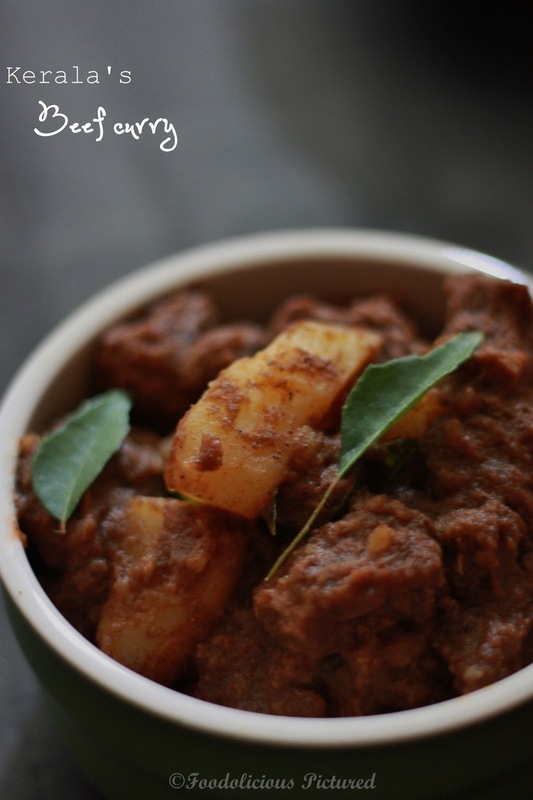 Add the potatoes and the remaining curry leaves, mix well and cook briefly for a few seconds. 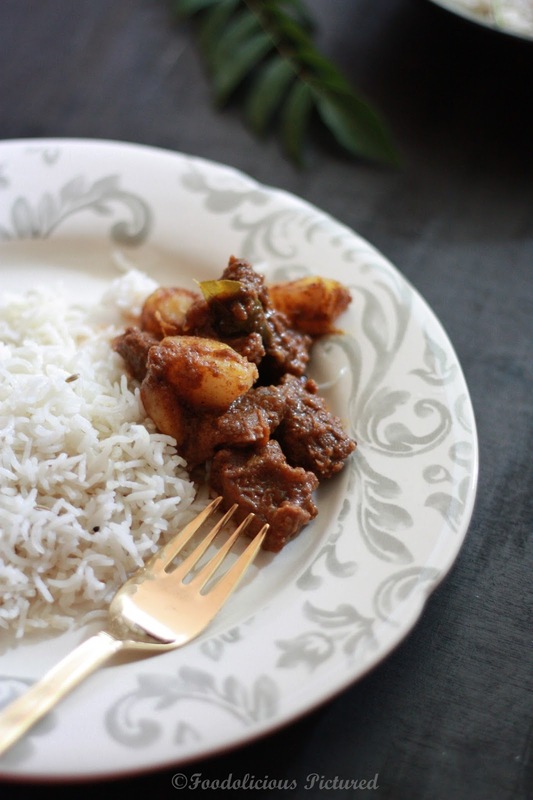 Turn off the heat and drizzle 2 teaspoon of coconut oil and cover and let it sit for 5 minutes before you serve with steamed rice, flavored rice, porota or roti. very well prepared and nice clicks. I am tempted to try this now. 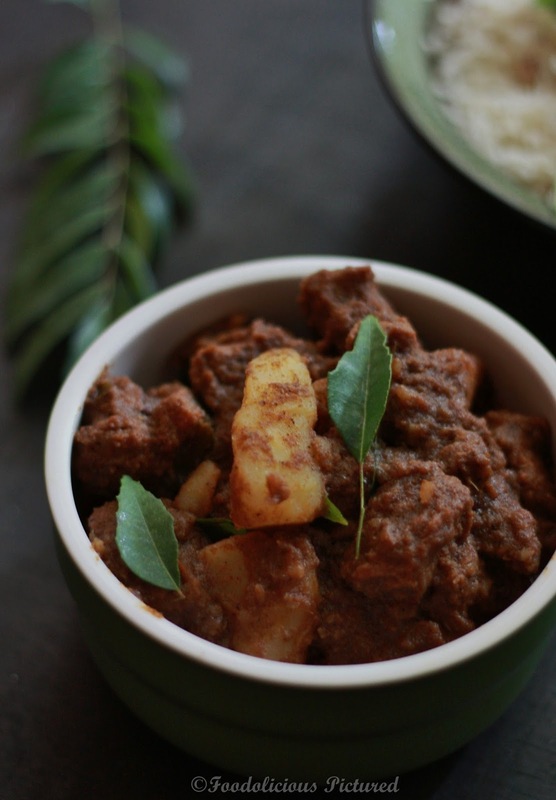 Though I don't use beef at home will try this with mutton next time. Bookmarking it. Looks delicious. My little one is suddenly quite fond of beef, might try it out sometime.